Uniforms speak volumes when it comes to the quality of your products, people, service and workmanship. Uniforms instantly tell customers they’re in the right place, speaking to the right people. A uniform rental program makes life easier for employees, it eliminates decisions on what to wear and saves them money on work clothing. Superior garment construction and superior service have come together to offer you Carhartt Rental Workwear, only from Cintas. 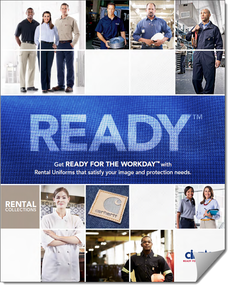 Cintas can tailor a Carhartt Rental Workwear program to meet your specific requirements. Exclusively designed to withstand the industrial laundry process. Cintas offers the industry’s largest line of retail-inspired Women’s Workwear. Our women’s uniforms have been designed with a woman’s body in mind so that you’ll always look and feel great.